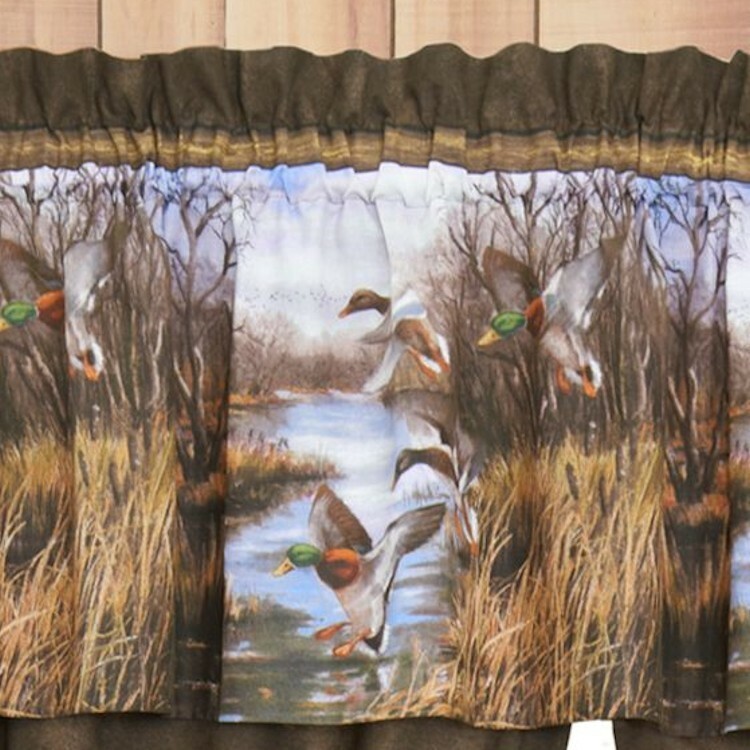 A panoramic scene of mallard ducks landing in a grassy marsh is featured on the Duck Approach Drapes and Valance. 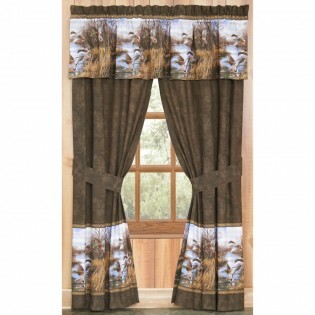 The drapes features this colorful fall border set on a background with the look of brown suede. 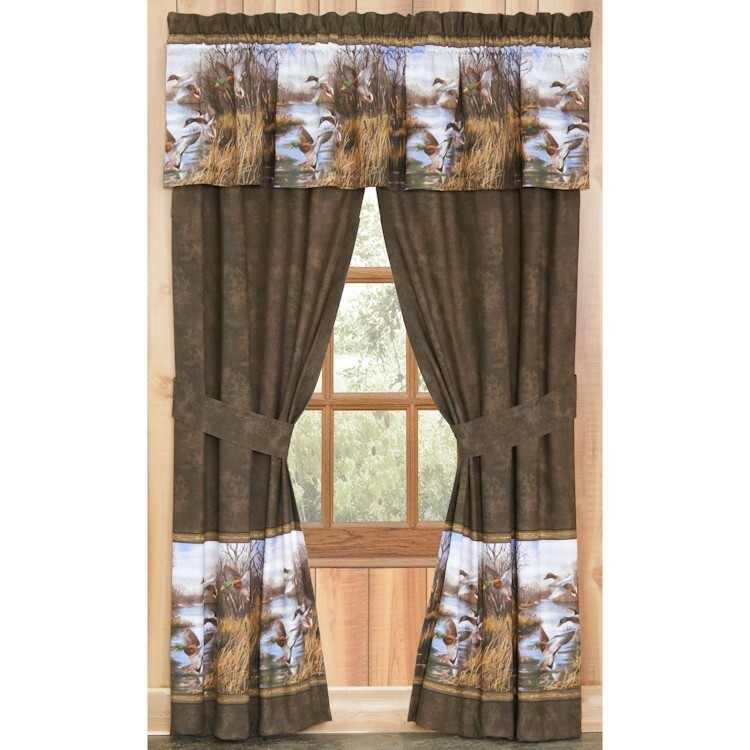 The same panoramic scene of mallard ducks is also featured on the Duck Approach Valance.